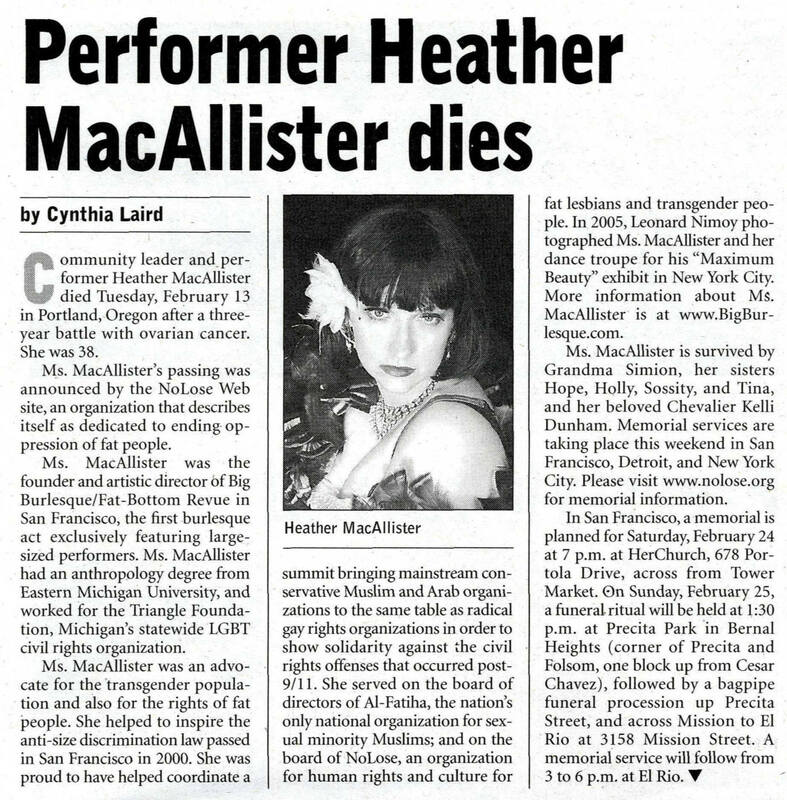 Heather MacAllister was a staffer for the Triangle Foundation in the 1990s. She later moved to San Francisco where she founded Big Burlesque, the original Fat Bottom Revue. Suffering from ovarian cancer, she died by assisted suicide at age 38.